These teeny tiny trinket dishes are one of my favourite things to make. At 5.5cm x 5.5 cm it’s such a small scrap but what a multitude of uses. Please note that as this is a handmade item each one differs from the next. If you would like me to send you a photo of your particular item before placing an order please email bridget@morefrontthanbrighton.com and I’ll get that sorted for you. Where else can you put your earrings or cufflinks overnight? Perhaps a safe place for your rings should you need to do some housework or what about a place to keep that little treasure that you picked up on the beach on your very first date. A single special chocolate or a small place to put a pill and bring a little joy into taking them. Southwold Summer is my first collection. 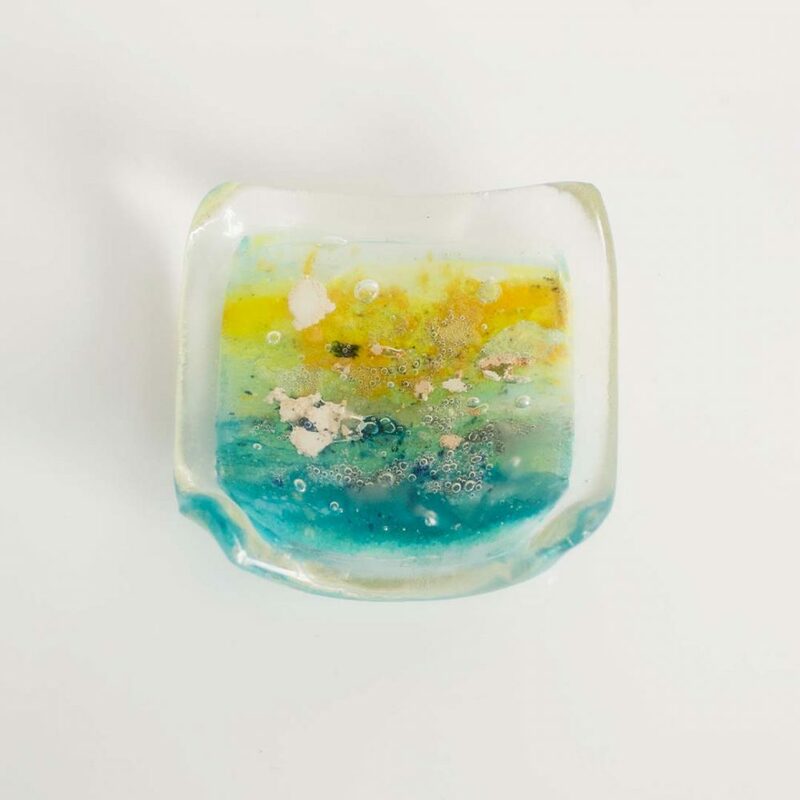 Inspired by the coastal scenes that I love and named for the one I love the most and the place where I discovered the joys of fused glass.